Overheat Protection: Tracks engine temperature and oil pressure, placing the machine in safe transport mode – disengaging the PTO when critical levels are exceeded. 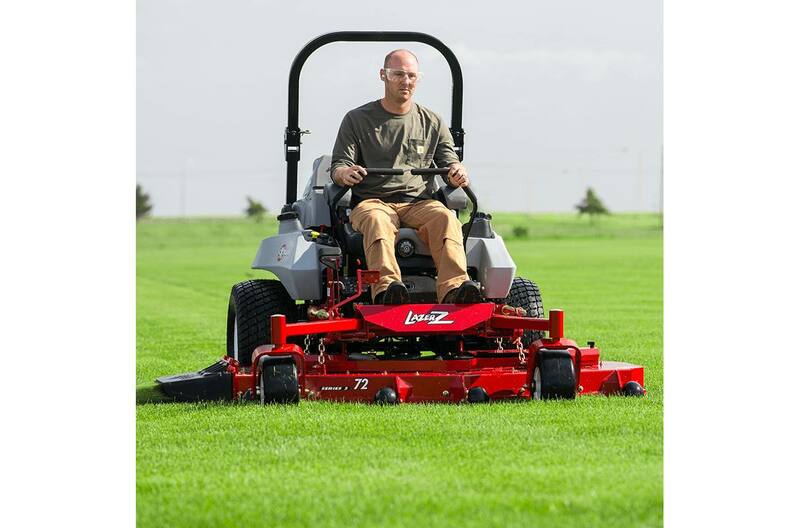 Frame Strength: Given the extreme mowing conditions the DS-Series is intended to handle, its frame has to be extraordinarily strong. As in heavy-duty, welded, tubular-steel strong. Which is exactly what it is. 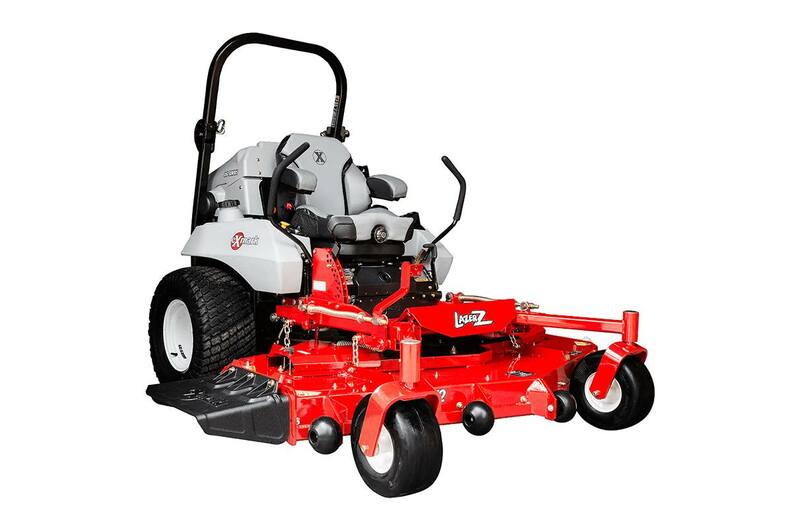 UltraCut Series 5 Deck: This full-floating deck uses double-row bearings with a splined blade driver to stop bolt tightening on impacts. Bio-Diesel Ready: The DS-Series is biodiesel-ready for reduced environmental impact. Suspension Seat: Comfort increases productivity. That’s why we designed a new, ergonomically advanced seat system. Blade Spindles: No maintenance, sealed and non-greasable spindles; 7.75"-diameter cutter housing with 1.75" diameter splined blade driver and 1.18" diameter spindle shaft. Tractor Frame: Welded, heavy-duty tubular steel. Steering Control: Hydraulically dampened twin levers, adjustable fore and aft. Adjustable dampeners (3 positions) to customize drive responsiveness. Levers are also adjustable to 2-height positions. Front Caster Tires: 15 x 6.00-6, smooth-tread, semi-pneumatic tires. Parking Brake: Lever-actuated drum and band integrated with transmission-neutral interlock. Seat: Deluxe, two tone, bolstered, full-suspension seat with Elastomeric Vibration Control material. Adjusts to individual operator weight and features padded, height-adjustable armrests. Hinged mounting. Electrical: 12-volt battery with 60-amp alternator. Fuel Capacity: 15.5-gallons (58.7-L) twin fuel tanks. Drive Description: Two Hydro-Gear 21cc/rev pumps with integral SCR (System Check Relief) valves (in forward), powering two 18-cubic-inch wheel motors with 1.25\\" (3.18 cm) diameter tapered shafts. Deck Lift: Standard; foot or hand controlled deck lift changes cutting height and lifts the deck to maneuver around obstacles, or place in transport position. Casters: 0.50" thick double-yoke, smooth tread caster wheel assembly with pre-installed bearing cups. Cutting Heights: 1.5" (3.8 cm) to 5.0" (12.7 cm) in 0.25" (0.64 cm) increments and adjustable from operator position via foot or hand operated deck-lift system.